Using a proved system, the VNPR LITE solution is so simple to install and use that we are confident you will not find an easier solution aimed at systems of up to 20 lanes. VNPR Lite provides a complete, ready to use back end solution for ANPR– including PC, capture cards, relay card, keyboard, mouse and all appropriate database software with full audit trail and password protection. 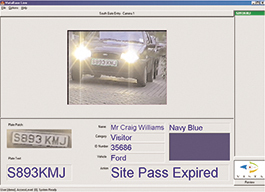 Reliability is a priority with VNPR Lite and when set-up the systems gives an extremely accurate recording of number plates that can be used to perform numerous tasks such as open barriers or gates, display text on an LED board, or alert Security staff etc. 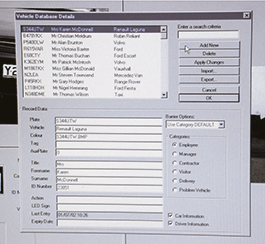 The user can interrogate the database to search in a variety of ways, including by date, time, category, full or partial number plate or database field – this makes the VNPR Lite system extremely useful when looking back at incidents or seeing how many times a certain vehicle passed through. Using the schedule software the user can set up a weekly schedule of times when vehicles are allowed onto site ensuring that out of hours access is not granted. English, French, Italian, Dutch, German, Polish and Spanish. Using 54 lane controllers and the central control server up to 20 lanes can be monitored and controlled from one point. Long track record for performance and reliability. Search against times, plates, dates, lanes and categories. Present information as reports. Message can be displayed on LED sign in response to plate reading. Allows definite identification in the case of a dispute. Barriers can be controlled to only allow access to authorised persons. PC compares plates to pre-loaded data base to either open barriers or sound alarms. The S-COMM ANPR camera has been designed to accurately and reliably capture number plates for a variety of applications. The cameras, which can be used as stand alone units or in conjunction with the ANPR software, have an impressive 98% image capture rate for legal retro-reflective plates. The use of IR LED illumination means that there is no need for regular bulb changes. 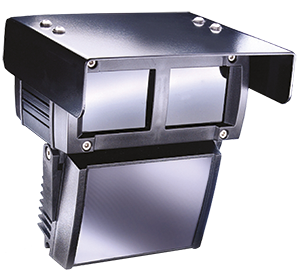 It also ensures that reliable images can be collected day and night, no matter what the lighting conditions. The cameras have been cleverly designed to make installation as simple and quick as possible. Each unit comes completely pre-configured so that there are no complicated installation settings other than ensuring that the camera is pointing in the right direction. All models come supplied with a wall or pole mount bracket. Camera and LED shuttering matched to provide 98% capture reliability for legal retro-reflective number plates. Comprehensive range caters for vast majority of circumstances. Guaranteed excellent picture quality, whatever the lighting conditions. Units come pre-configured for quick and easy installation.